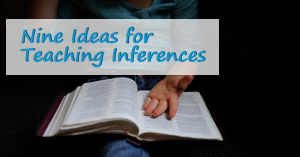 Making inferences – really, it’s what reading is all about. Without the ability to make simple inferences, reading would be just a dry reciting of statements without any though putting it all together, and the better inferences you can make, the more you get out of your reading. That’s why making inferences is such an essential reading skill for kids to master on their way to becoming good readers – as teachers of middle school and upper elementary students know so well! 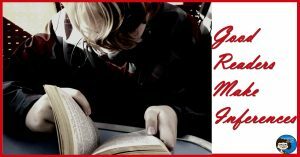 I’ve written a number of blog posts about reading strategies for making good inferences in the past, and I thought this might be a good time to collect them all together. After all, teachers can never have too many ideas for inference lessons. 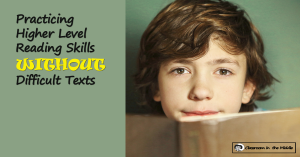 Practicing Higher Level Reading Skills Without Difficult Texts – This post is about activities with fun source materials like photos or riddles to teach inferencing skills. 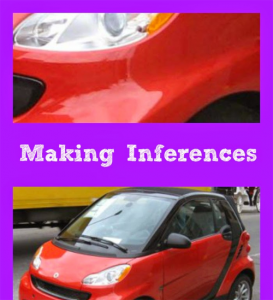 Making Inferences – This was one of my first posts about making inferences. It was a guest post for Minds in Bloom, and it’s based on the idea of mystery pictures. 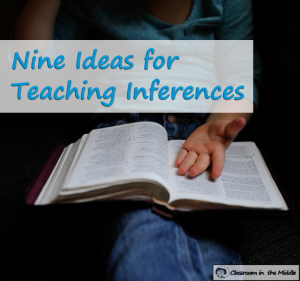 Good Readers Make Inferences – This one is about specific story elements that rely on making inferences and teaching inferencing along with those story elements. 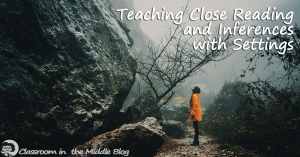 Teaching Close Reading and Inferences with Settings – This post goes into more detail with lesson ideas using the story element of setting to teach the reading skill of making inferences as well as writing skills. 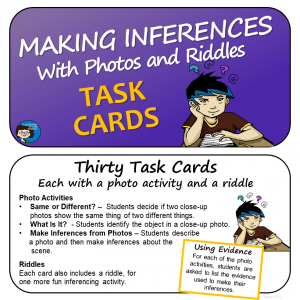 Good Inferences, Sound Conclusions – My most recent post on the subject includes a FREE poster that you can hang on your classroom wall to remind kids about making good inferences. Making Inferences Practice – It’s great when kids can make good inferences about novels that they read, but sometimes they need a little concentrated practice using short passages first. 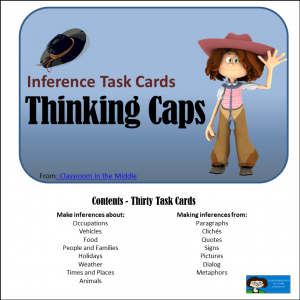 This post is about using inference task cards. 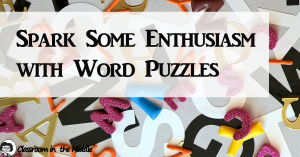 Spark Some Enthusiasm with Word Puzzles – When you think about it, solving word puzzles almost always involves making some inferences (and kids do love puzzles!). 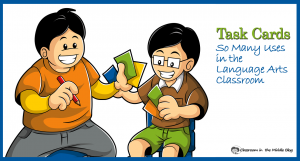 Task Cards – So Many Uses in the Language Arts Classroom – A collection of fun games and activities using task cards, these would work with inference cards as well as cards for other language arts topics. 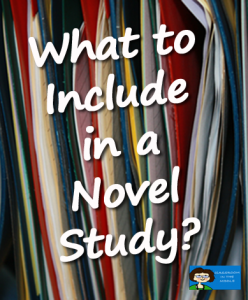 What to Include in a Novel Study – This post is about ways to incorporate lots of reading skills,including making inferences, into a novel study. 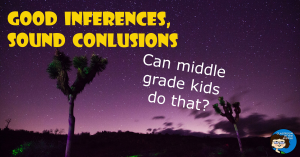 My Resources – Here are links to the resources I’ve created for middle school and upper elementary students to practice making inferences.